On 2nd August 1999, a particularly hot day in the town of Cirencester in the UK, a large pane of toughened glass in the roof of a shopping centre at Bishops Walk shattered without warning and fell from its frame. When fragments were analysed by experts at the giant glass manufacturer Pilkington. which had made the pane, they found that minute crystals of nickel sulphide trapped inside the glass had almost certainly caused the failure. 'The glass industry is aware of the issue,' says Brian Waldron, chairman of the standards committee at tine Glass and Glazing Federation, a British trade association, and standards development officer at Pilkington. But he insists that cases are few and far between. ‘It's a very rare phenomenon.' he says. It is made by heating a sheet of ordinary glass to about 620°C to soften it slightly, allowing its structure to expand, and thencooling it rapidly with jets of cold air. This causes the outer layer of the pane to contract and solidify before the interior. When the interior finally solidifies and shrinks, it exerts a pull on the outer layer that leaves It in permanent compression and produces a tensile force inside the glass. As cracks propagate best in materials under tension, the compressive force on the surface must be overcome before the pane will break, making it more resistant to cracking. Data showing the scale of the nickel sulphide problem Is almost Impossible to find. The picture is made more complicated by the fact that these crystals occur in batches. So even if, on average, there is only one inclusion in 7 tonnes of glass, if you experience one nickel sulphide failure in your building, that probably means you've got a problem in more than one pane. Josie says that in the last decade he has worked on over 15 buildings with the number of failures into double figures. Though the project cost A$1.6 million (nearly £700,000), the alternative - re-cladding the entire building - would have cost ten times as much. Write the correct letter A-H in boxes 1-4 on your answer sheet. Answer: L Locate by glass experts Furthermore, the crystals cannot be detected without sophisticated equipment. 11 TRUEFALSENOT GIVEN Little doubt was expressed about the reason for the Bishops Walk accident. 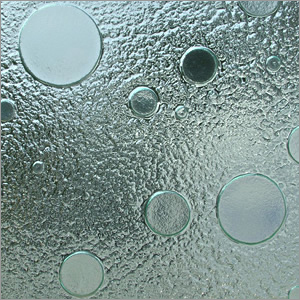 12 TRUEFALSENOT GIVEN Toughened glass has the same appearance as ordinary glass. 13 TRUEFALSENOT GIVEN There is plenty of documented evidence available about the incidence of nickel sulphide failure.